Chap. LXXV. 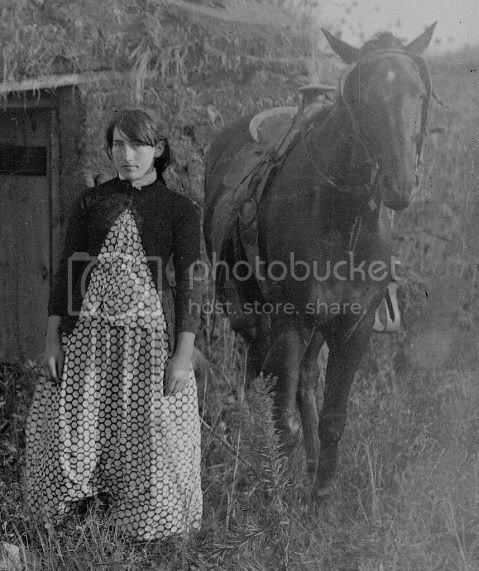 -- An Act to secure Homestead to actual Settlers on Public Domain. Be It enacted by the Senate and House of Representatives of the United States of America in assembled, That any person who is the head of a family, or who has arrived at the age of twenty-one years, and is a citizen of the United States, or who shall have filed his declaration intention to become such, as required by the naturalization laws of the United States, and who has never borne arms against the United States Government or given aid and comfort to its enemies, shall, from and after the first January, eighteen hundred and sixty-three, be entitled to enter one quarter section or a less quantity of unappropriated public lands, upon which said person may have filed a preÃ«mption claim, or which may, at the time the application is made, be subject to preÃ«mption at one dollar and twenty-five cents, or less, per acre; or eighty acres or less of such unappropriated lands, at two dollars and fifty cents per acre, to be located in a body, in conformity to the legal subdivision of the public lands, and after the same shall have been surveyed: Provided, That any person owning and residing on land may, under the provisions of this act, enter other land lying contiguous to his or her said land, which shall not, with the land so already owned and occupied, exceed in the aggregate one hundred and sixty acres. SEC. 2. And be it further enacted, That the person applying for the benefit of this act shall, upon application to the register of the land office in which he or she is about to make such entry, make affidavit before the said register or receiver that he or she is the head of a family, or is twenty-one year or more of age, or shall have performed service in the army or navy of the United States, and that he has never borne arms against the Government of the United States or given aid and comfort to its enemies, and that such application is made for his or her exclusive use and benefit, and that said entry is made for the purpose of actual settlement and cultivation, and not either directly or indirectly for the use or benefit of any other person or person whomever; and upon filing the said affidavit with register or receiver, and on payment of ten dollars, he or she shall thereupon be permitted to enter the quantity of land specified: Provided, however, That no certificate shall be given or patent issued therefor until the expiration of five years from the date of such entry; and if, at the expiration of such time, or at any time within two years thereafter; the person making such entry; or, if he be dead, his widow; or in case of her death, his heirs or devisee; or in case of a widow making such entry, her heirs or devisee, in case of her death; shall prove by two credible witnesses that he, she, or they have resided upon or cultivated the same for the term of five years immediately succeeding the time of filing the affidavit aforesaid, and shall make affidavit that no part of said land has been alienated, and that he has borne true allegiance to the Government of the United States; then, in such case, he, she, or they, if at that time a citizen of the United States, shall be entitled to a patent, as in other cases provided for by law; And provided further, That in case of the death of both father and mother, leaving an infant child or children, under twenty-one years of age, the right and fee shall enure to the benefit of said infant child or children; and the executor, administrator or guardian may, at any time within two years after the death of the surviving parent, and in accordance with the laws of the State in which such children for the time being have their domicil, sell said land for the benefit of said infants, but for no other purpose; and the purchaser shall acquire the absolute title by the purchase, and be entitled to a patent from the United States, on payment of the office fees and sum of money herein specified. SEC. 3. And be it further enacted, That the register of the land office shall note all such applications on the tract books and plats of his office, and keep a register of all such entries, and make return thereof to the General Land Office, together with the proof upon which they have been founded. SEC. 4. And be it further enacted, That no lands acquired under the provisions of this act shall in any event become liable to the satisfaction of any debt of debts contracted prior to the issuing of the patent therefor. SEC 5. And be it further enacted, That if, at any time after the filing of the affidavit, as required in the second section of this act, and before the expiration of the five years aforesaid, it shall be proven, after due notice to the settler, to the satisfaction of the register of the land office, that the person having filed such affidavit shall have actually changed his or her residence or abandoned the said land for more than six months at any time, then and in that event the land so entered shall revert to the government. SEC. 6. And be it further enacted, That no individual shall be permitted to acquire title to more than one quarter section under the provision of this act; and that the Commissioner of the General Land Office is hereby required to prepare and issue such rules and regulations, consistent with this act, as shall be necessary and proper to carry its provision into effect; and that the registers and receivers of the several land offices shall be entitled to receive the same compensation for any lands entered under the provision of this act that they are now entitled to receive when the same quantity of land is entered with money, one half to be paid by the person making the application at the time of so doing, and the other half on the issue of the certificate by the person to whom it may be issued; but this shall not be construed to enlarge the maximum of compensation now prescribed by law for any register or receiver; Provided, That nothing contained in this act shall be so construed as to impair or interfere in any manner whatever with existing preÃ«mption rights. And provided, further, That all persons who may have filed their applications for a preÃ«mption right prior to the passage of this act, shall be entitled to all privileges of this act: Provided, further, That no person who has served, or may hereafter serve, for a period of not less than fourteen days in the army or navy of the United States, either regular or volunteer, under the laws thereof, during the existence of an actual war, domestic or foreign, shall be deprived of the benefits of this act on account of not having attained the age of twenty-one years. SEC. 7. And be it further enacted, That the fifth section of the act entitled "An act in addition to an act more effectually to provide for the punishment of certain crimes against the United States, and for other purposes," approved the third of March, in the year eighteen hundred and fifty-seven, shall extend to all oaths, affirmations, and affidavits, required or authorized by this act. Well they amended it also, allowed Union Veterans and their widows to deduct time in military service from the five years required to prove up. Also in the alternate blocks of the railroad grants one was only allowed 80 acres. So from 1873 to 1891 one could take 480 acres. and just 320 after that. But in 1904 what was called the Kinkaid Act was passed, this allowed one to take a full section (640 acres) in 37 counties in north and western Nebraska. 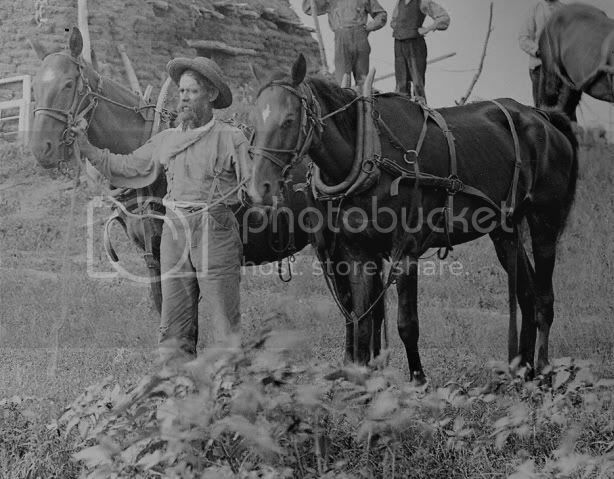 For good or bad, the original idea of taking up a quarter section was great in the areas in the eastern part of the Great Plains where there was enough natural moisture to allow dry land farming. 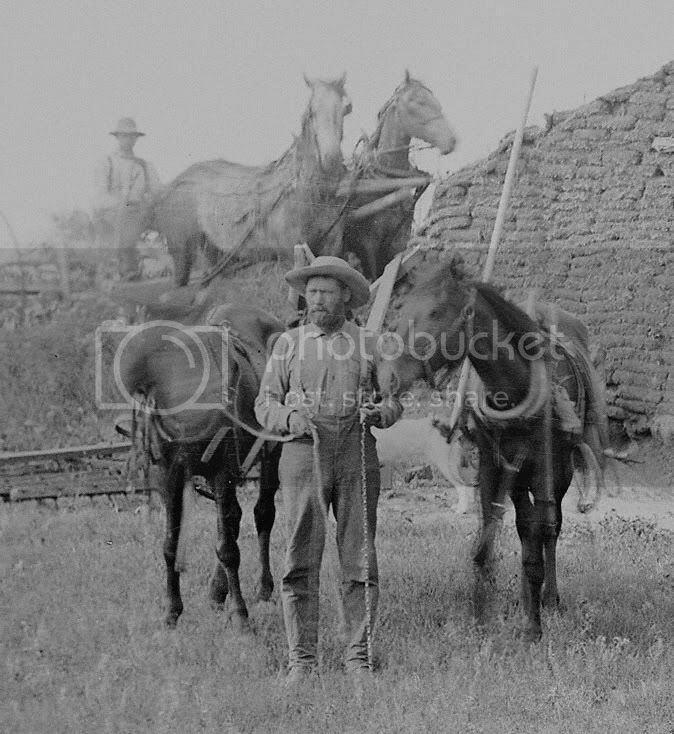 However in the western part where dry land farming was hit and miss, the land was better suited to cattle. Our Congress made up mostly of men from back east did not understand this. This lead to a lot of problems that are well documented. 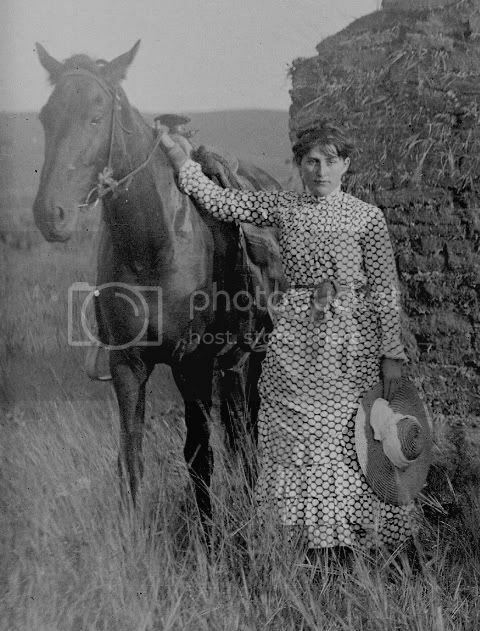 This thread is not to get into a battle of whether the the ranchers or the farmers were right in the range wars. This long introduction is to explain the next picture I've anilized and a couple more which are on the chopping block. All these ways of obtaining free land required you build a dwelling on the land and reside in it. 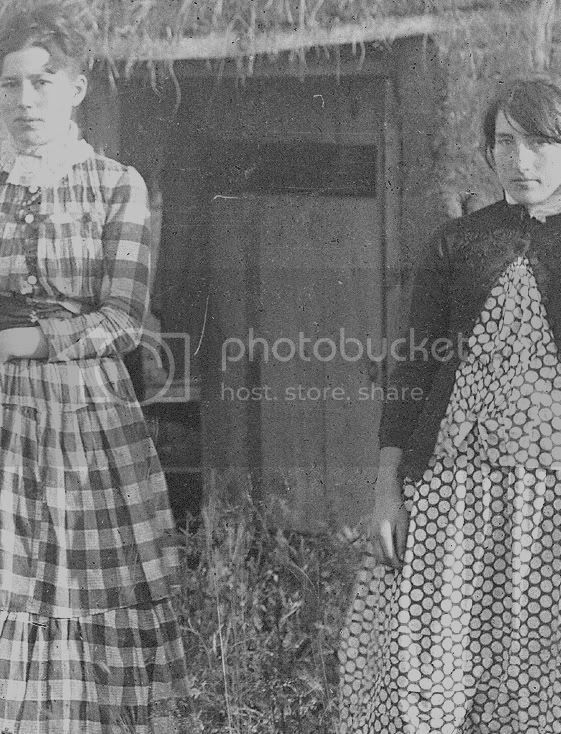 The Chrisman sisters who Butcher photographed in 1886 helped their father build a ranch by taking homesteads, timber claims, and preemption claims and proving up. 480 acres apiece. They each had a soddy on their claim and visited around with the other sisters. From left to right, Harriet, Elizabeth, Lucie, Ruth. 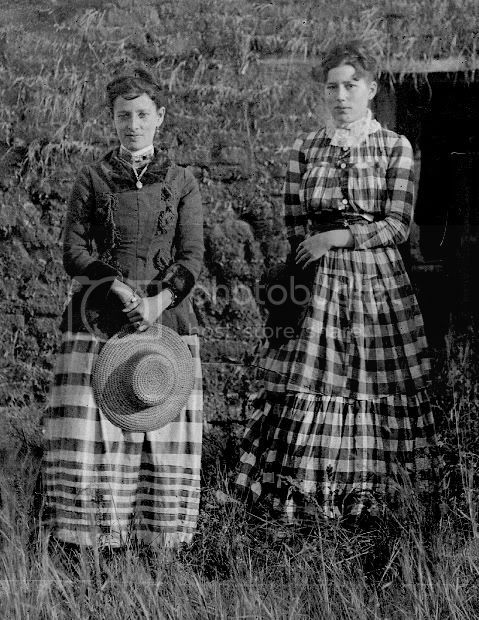 Two sisters have outfits made of the same material. By the weeds growing in the roof which appear to be ragweed I'd guess it is late summer and none of the sisters has much problem with hay fever. Other times a dwelling would be built so that part of it was on two claims. 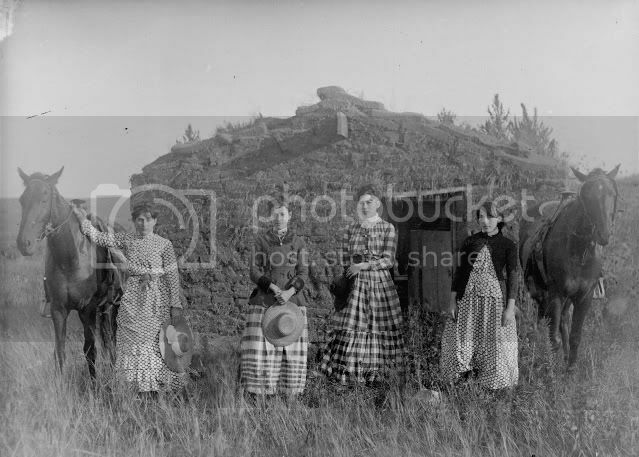 Luther M. Mitchell and Ami W. Ketchum settled on Clear Creek in Custer County in the spring of 1878 and built a sod house that was partly on both claims. Anyone familar with the history of the area knows the rest of the story of what happened, that tale would be for another thread. Needless to say they did not prove up, but others moved into their claims and took them over. 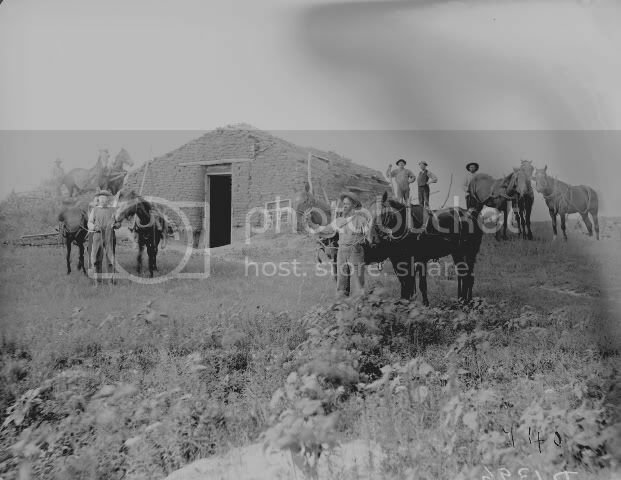 Butcher did not record their names when he photgraphed the sod house in either 1888 or 1889. 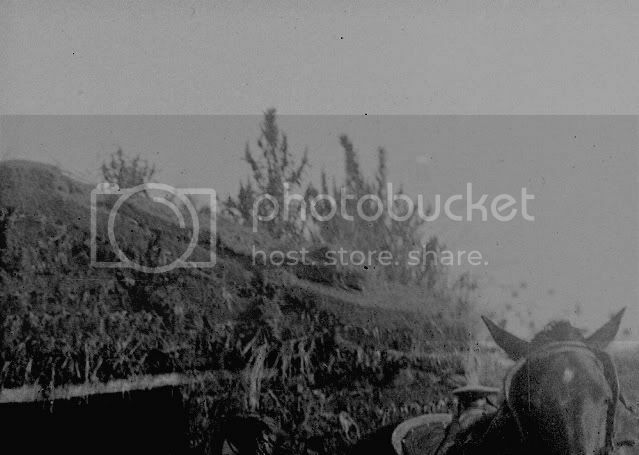 Well them horse made your living, got some coming up with sod houses and nice frame barns. Amazing photos Delmonico@ Just wonderful. Inside those soddies they'd plaster and paint the walls. The dirt floors became as hard as tile and they kind of took a shine. 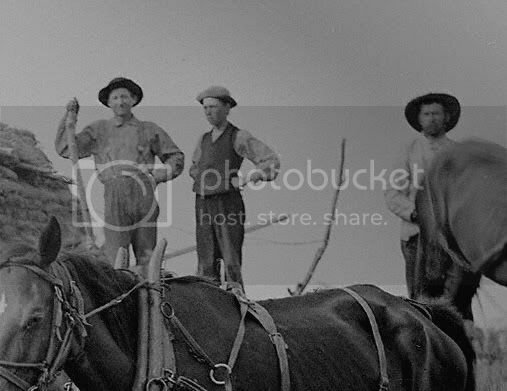 The soddies were cheap to build, they made a special plow blade to cut the sod bricks. They were warm in winder and cool in summer. My dad said folks would use greased paper for windows. Glass being rare. My grandfather who spent his entire life in Western Kansas used to show me where soddies had been. They were always built alongside a stream in a gulley and into the back. You'd see a shallow dip where it had been. There was usually a dead tree outside and a few flattened tin cans, etc... Sometimes some trusty chimney pieces and a place where the wind mill had been. The wind out there blew constantly. My mother who left when she was a teenager recalled the wind, she hated the wind. I lived with her parents off and on for years. My grandmother would hang her wash on a steel wire in her back yard and it would flutter and whip in the wind. Then she'd iron. She ironed her sheets! She ironed the underware. She'd fry chicken in an iron skillet and it was to die for. I remember being told about the greased paper in the windows in school, never have seen it in a picture of one, until I see more evidence of it, I'm putting that down to a legand. Doubt they would hold up in most great plains storms anyway. By the end of the Civil War glass was not that expensive being mass produced back east. Plus by the time this area was settled the Railroads had come into the area. A lot of the stories we were taught in school were often based off of conditions further east before the Industrial Revaloution which really started kicking into gear at a fast pace in the late 1830's in this country. The old saw we were also taught about how the Homestead Act allowing poor city people to come west and farm is also pretty much bunk. Most settlers out here were already farmers who had poor land or because of it being sub-divided in wills, did not have enough to make a living on. This land would be sold and the money used to move and set up a new farm. One could not prove up on a claim with out some finances. As it were the common figure given is only 40% of those who filed on claims proved up on them. Thanks very much for the photos and commentary! After the short mention of window glass vs oiled paper/cloth, I thought to do a bit of looking about vis-a-vis the level of manufacture, commonality and availability of window glass, and if possible, cost. In 1867 there are thirty four factories as will appear by the table on the following page..."
All this, in 1867 in Pittsburgh alone! From "The government of American trade unions, Volume 31, Issues 1-4"
the need of a uniform sliding scale for all window glass factories as the chief reason for creating a national union"
Ground window glass is worth about 3 cents per square foot"
and eureka! from Industrial Price Policies and Economic Progress, on p288 "Industrial Price Policies"
we find "Indexes of Weekly Wages and Wholesale Prices of Window Glass and Print Cloth, 1870-1937"
Thank you Professor Marvel, the older Colonial Period and the really early part of the 19th Century, they had to blow the glass and flatten it while hot, or they spun the glass out by hand. I was reading about how they did it a couple of months back. But once machinery was in place it became fast and cheap to make. 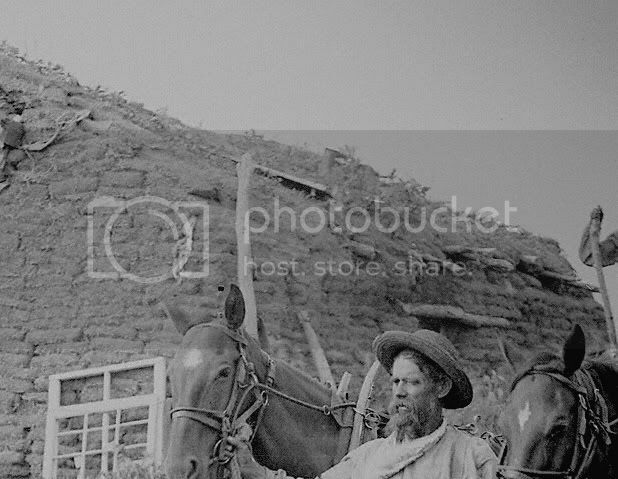 Also notice most of the windows in the sod houses are pre-fab, they were sent to the frontier in car load lots. This country out here would have never been settled with out the railroads, even if stuff still had to be wagon freighted some distance beyond the rails. Yes the government gave a lot of land to the railroads, but it made the land they kept worth it. The stories of the agents for the railroads and they're trips to Europe to sell the land are a whole story on it's own. Large blocks along the railroads were settled by different ethnic groups, they tended to stick together. What they brought to this country is amazing, the Czech here in Nebraska brought the roller mill method of making flour that sped things up and the Voga Deutsch ( Germans from Russia) brought improved stains of winter wheat. Of course they also brought the Russian Thistle which gave us that great symbol of the west, the tumbleweed. How many knew that was not native? How many knew that was not native? I knew they weren't native, but I never heard the wheat connection, always thought they showed up in South Dakota in a load of flax seed. I do know they are accomplished travelers. Vast herds of them can been seen migrating across the prairie from my kitchen window on some days. When I was a child we moved into a house without window panes. My Dad used isinglas to cover the windows. You used to see it a lot in West texas. Its transparent (kinda) and resembles waxed paper with string embedded to give it strength in a cross hatch pattern..
i can remember getting a whipping for poking holes in it. I have an old friend who grew up in a New Mexico soddy and he said that they had the same isinglass in the windows. i have heard about using greased paper over the years but I have always equated that to the isinglas. It was cheap and let in light and you could put it into a window frame quickly and cheaply. Not withstanding the cost of glass and its availability,uptown people had glass, poor folks had isinglass, Uptown folks had paint, poor folks had whitewash. Using a clothes line and ironing sheets is still done and cooking chicken in cast iron is the only way to do it properly. My wife still uses the clothes line,makes the sheets smell better. Stu, I've heard the flax seen one also, but around here the VolgA Deutsh take credit. Heck we got them blowing around sometimes in the state capital, saw a cop getting one out of the street the other day. Don, isinglass can be one of 3 things I know, one is a kind of plastic made from fish swim bladder, another is sheet mica, like the windows in old stove, the third is a material made out of cellulose and has a string cross hatch patter and came on rolls. I remember my grandparents covering the screen on the screen doors for winter with it. If we got someone willing to take credit for em, no sense try to lay blame on someone else. "Not a cubic foot of putrid air or water. Epidemic diseases unheard of. Winters short and mild." Thanks John, I've got a bunch of other stuff I'm working on and hadn't had time to search for any of that stuff. 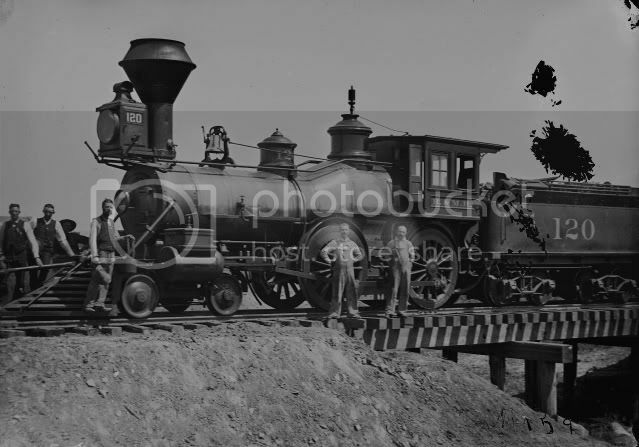 Picture 12652 of the Butcher collection, date 1886, The Burlington and Missouri River Route's first engine in to Broken Bow, Custer County Nebraska. Today as part of the BNSF that route up through Wyoming carries a lot of the coal for the US, I can here one rumbling by about 3 blocks from me as I type. i have heard about using greased paper over the years but I have always equated that to the isinglas. It was cheap and let in light and you could put it into a window frame quickly and cheaply and to read about the extender system called the Jes Extender. How much would that have been in today's money? A huge sum I expect. I love these old pics by the way. The 1800s in the West must have been such an interesting time to be around. The 1800s in the West must have been such an interesting time to be around. Thanks for a great thread.......Like most on this forum, my wife says I was born 125 years to late! 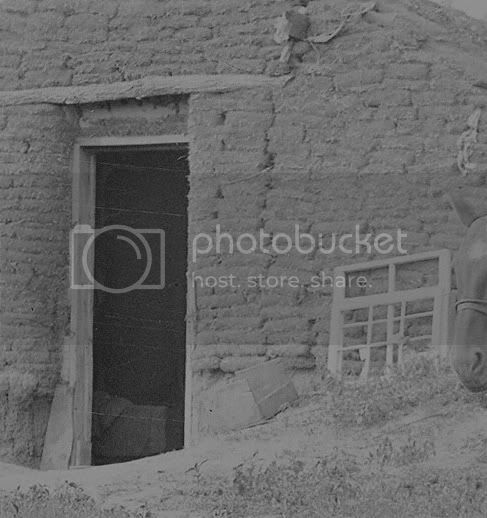 Amazing pictures of a bygone era. What was the house made of? What kind of material used for bricks? Very interesting, never new about sod bricks, thanks Professor Marvel. the "glass houses" referred to meant "glass factories"
the " house has not been well cared for and is starting to decay"
was a "Soddy" - a house built of sod bricks cut from the soil. If one plasters the inside with "plaster" and the outside with a clay-mix of stucco the houses are almost as solid as adobe and will stand up for a long time. Otherwise any water will dissolve and wash away the dirt the bricks are made of. The photography is great despite the old technology. The photos reveal so much upon scrutiny and I always say black and white photos make you focus more on the details. Thanks for the history too. It still baffles me how people rarely smiled in photos lol. If one plasters the inside with "plaster" and the best legal steroids supplements outside with a clay-mix of stucco the houses are almost as solid as adobe and will stand up for a long time. Otherwise any water will dissolve and wash away the dirt the bricks are made of. I was wondering what did Soddy means, Thank you for clarifying that.